The Clive Barker Archive collates Clive’s works in all media, including his working notes, papers and sketches for hundreds of projects – both published and unpublished – dating from the mid-1960’s to the present day. Launched in 2016, the Clive Barker Archive offers a unique insight into the creative workings of a multi-media artist. With plans in hand to create a permanent public gallery space in London, sections of the archive will also be presented online. The Clive Barker Archive will continue to create texts and publications exploring Clive’s work, documenting previously unpublished material and celebrating his influence on a generation of creative film-makers, artists and writers. Clive's earliest creative projects pushed the boundaries of what is possible when limited resources are met and overcome by the enthusiasm of a close-knit and collaborative group. The archive reveals many previously unseen sketches, texts and photos from these formative years. With a fearless disregard for the constraints of genre, it is three decades since Clive broke into literary consciousness with his Books of Blood and Weaveworld, whilst Hellraiser enthused cinema audiences with a first taste of his distinctive imagery. His name established, Clive has continued to inspire, shock, challenge and agitate in all media whilst mentoring and encouraging creatives around him. His working methods, captured in his archive, reveal the influences and beliefs that have infused a lifetime of work. Volume 6 of the Imaginer series, the ongoing presentation of brand new digital capture images of Clive Barker’s astonishing artwork, is published by the Clive Barker Archive and is now shipping. “If people want to know who I am or where I get my ideas from or why I write the things that I do, Imaginer is the answer to that question." 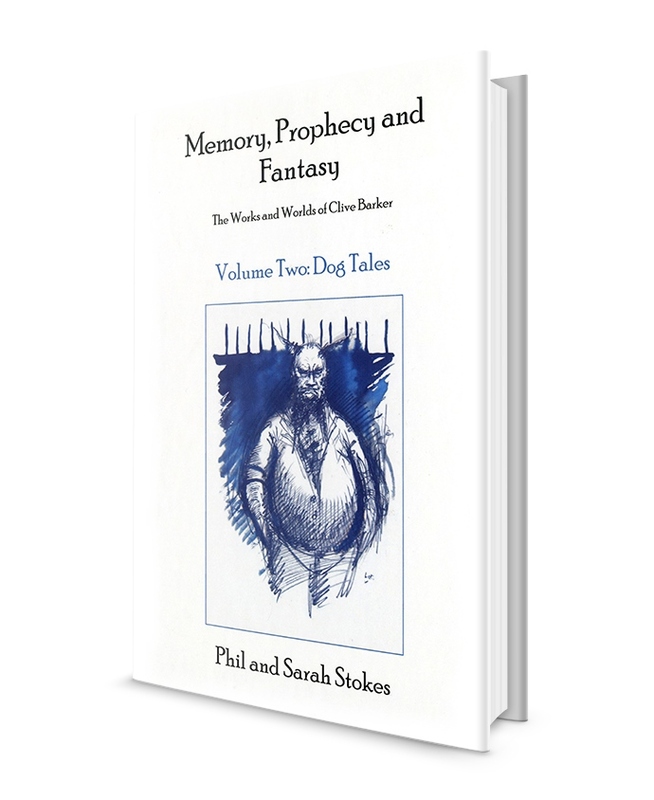 Phil and Sarah Stokes – authors of the Memory, Prophecy and Fantasy series and the Revelations website and Clive’s long-time archivists – are continuing the multi-volume publication of the definitive collection of Clive’s artwork in the vibrant colour and depth showcased in the first six volumes. Imaginer Volume Six is now shipping. The digitisation of the archive is an ongoing project with the intention of making it increasingly available for public viewing and study. The Memory, Prophecy and Fantasy series of books draws together many elements from the archive to describe the continuum of Clive’s artistic vision. The Imaginer series of volumes offers a view of Clive’s work in oil on canvas, employing specialised scanning to reproduce canvases with an incredibly high degree of fidelity. Memory, Prophecy and Fantasy is the continuing project to document the evolving themes, concerns and passions within Clive's work. With full access to Clive's archives and invaluable contributions from his friends and closest collaborators, for the last fifteen years we have been piecing together fragments, scripts, sketches and ephemera to chart the successes, the failures and the what-might-have-beens, compiling the definitive and illustrated portrait of Clive's work. What started as a personal exploration into the plays performed by the Dog Company in the years before Clive rose to prominence with his eponymous Books of Blood has blossomed into a multi-volume series that will ultimately cover all of Clive's works, all the way from those earliest plays through his more famous works and right up to the present day. "I sobbed my heart out because there were so many things in there that I hadn't thought of before. Amazing. Breath-taking. And you have captured, or quoted, or found things I just would not have remembered in my life, you know? I think in some ways I was crying for a life that I'd forgotten. You know, my thoughts, and meanings: you are the keepers of those." "And what the two of you have done with these books, what you are doing, is going to be - when all of us are dead, unfortunately! Certainly when I'm dead! - is going to be a matrix, a model for a way that people won't do things in the future. Just as people don't do things the way Cocteau did things - back in the Fifties there just weren't the models - people don't make art that way anymore and I think the models will have changed again. What you're doing is, doing for me, is what nobody ever did for Cocteau which is to preserve everything. We know almost nothing about his early drivers. We know them only as echoes of what Picasso was doing, we know what Picasso was painting and we know Cocteau's there because he's in a drawing but quite what he was doing there at the age of twenty... ? You know, he obviously was doing something of significance because he's in all the drawings and all the photographs, but nobody knows. And you've done that for me. You've filled in all the blanks." 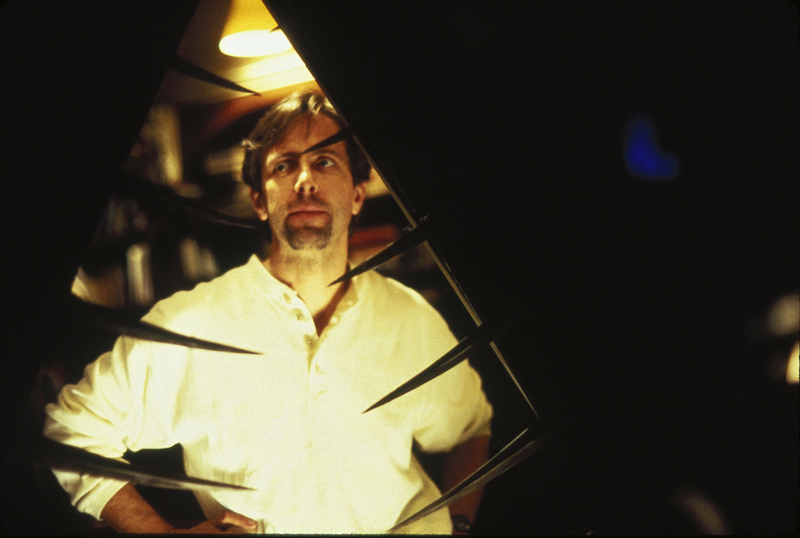 The legacy of Clive Barker's movie, Hellraiser, has reached far into the minds and hearts of filmgoers and filmmakers in the years since its 1987 theatrical release. It has spawned multiple sequels, inspired three separate runs of comic books, influenced fashion and culture, prompted academic texts and documentaries and added the iconic figure of Pinhead to the pantheon of great horror characters. This full-colour companion book, scheduled for 2019, includes unseen material drawn from full and exclusive access to Clive's own archived notes, drafts, sketches and screenplays which document his step into the world of feature filmmaking. Alongside these are materials from the archives of New World Pictures and from the archives of cast and crew of the film. Documenting the journey from vision to page to screen and reflecting reaction at the time, it illuminates the creative passion and commitment from Clive and his collaborators in front of and behind the cameras - a shared passion that forged a landmark in horror movies. Much has been said about Hellraiser in the three decades since cameras first rolled in September 1986. Featuring exclusive new commentary from Clive himself, this lavishly illustrated, studio-approved, large format book draws out the thoughts and observations of those involved with the film - as they were making it. The book will contain unpublished and rarely seen materials, such as this on set image, taken by photographer Steve Lyne (high quality prints of which are available at his site). For more images see the Archive Gallery.